The brand new Honda nexite deck is super light 21" and tough. The high impact material prevents dents, rust and corrosion while still being able to be easily manoeuvred around your backyard. Equipped with the safe technology of a blade brake system, the blades will stop within 3 seconds of releasing the handle. Allowing you to feel more comfortable and safe around your machine. The Honda Nexite is powered by the powerful and super reliable GCV190 engine which is the premium Honda residential small engine. Four stroke technology and four year domestic warranty. 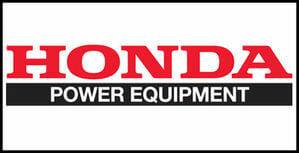 Fitted with the Honda self-propelled technology using hydrostatic cruise control that fully adjustable from 0-6kp/h. This feature will save you loads of time and effort making mowing your lawns so much easier. This Honda mower is equipped with the exclusive micro cut system producing grass clippings that are super fine for extraordinary mulching results.